Industry’s first and lowest power Arm® Cortex®-M23 MCU consuming less than 25 uA/MHz in active mode and less than 100 nA in sleep mode. It features enhanced peripheral touch controller, advanced analog, ISO7816 smart card interface, event system and SleepWalking peripherals. QT2 Xplained Pro is a QTouch Surface extension board for Xplained Pro boards that demonstrates the Peripheral Touch Controller (PTC) as a high performance touch-surface controller. The PTC controller uses very little power and resources from the MCU, which makes it easy to integrate touch surface support to your main project. Microchip® QT7 Xplained Pro kit is an extension board to evaluate self-capacitance touch - robust, water tolerant to the highest extend. The SAM L10 Xplained Pro evaluation kit is ideal for evaluating and prototyping with the ultra low power SAML10 ARM® Cortex®-M23 based microcontrollers. 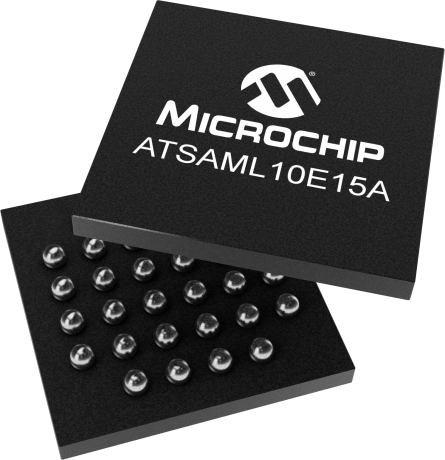 The SAM L10 MCU features general purpose embedded control capabilities with enhanced peripheral touch controller and advanced analog.